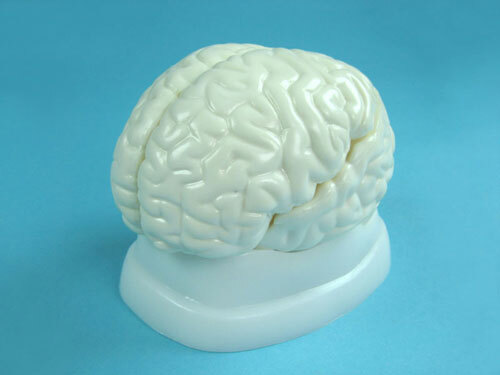 Model of a human brain. 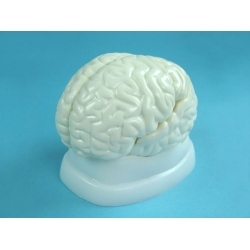 Description: This plastic replica human brain shows multiple views. 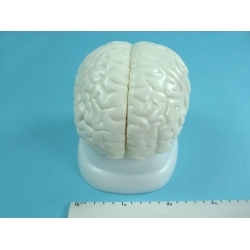 Great for hands-on study of brain anatomy. On base. Dissectible into 3 parts. 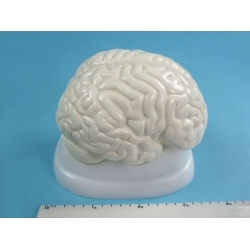 Size: 18.5x14x13.5CM.